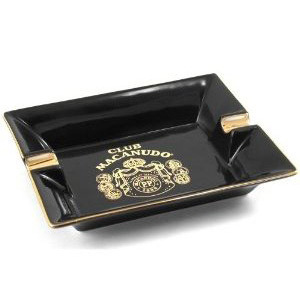 Macanudo Club Ashtray in High Gloss Black Porcelain with gold lettering and trim. Ashtray has two rests for your favorite cigars. This ashtray measures 7 wide x 5 deep x 1 High.